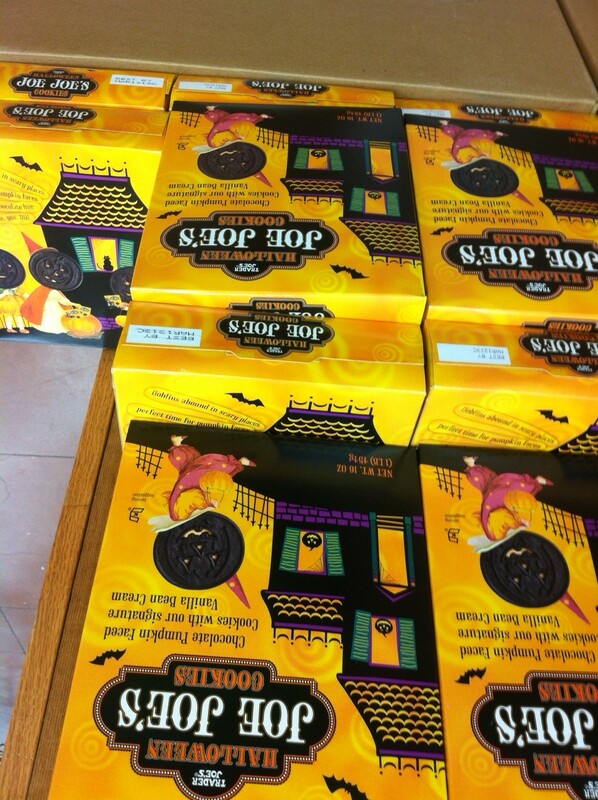 When trader joe’s has halloween Joe Joe’s cookies (which are addictive BTW), I know it’s October. 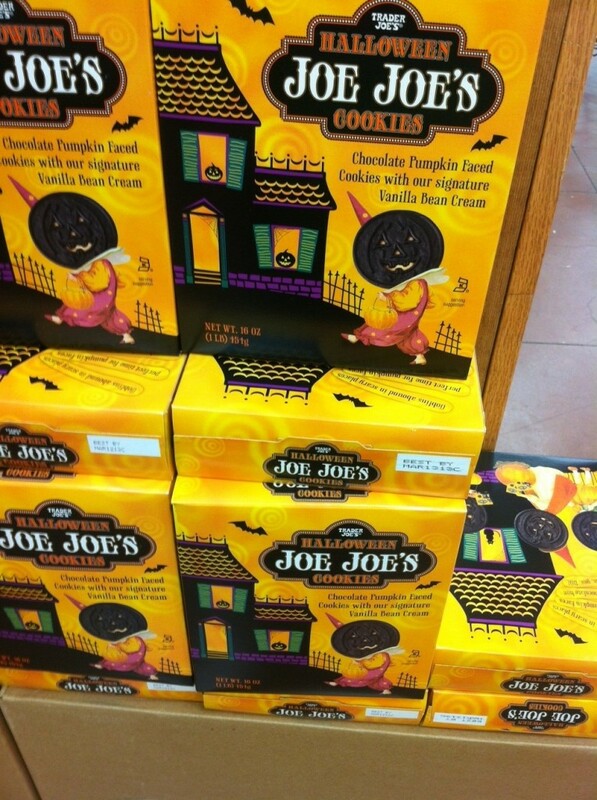 Not falling leaves, change of temperature, it’s Joe Joe cookies. Yup. 😀 My Uggs are out, my baggy sweatshirt that I saved for the holiday season’s weight gain is out too ready to tackle it’s duty. And I’m ditching those summer salad and move on to a fall kind of meal. 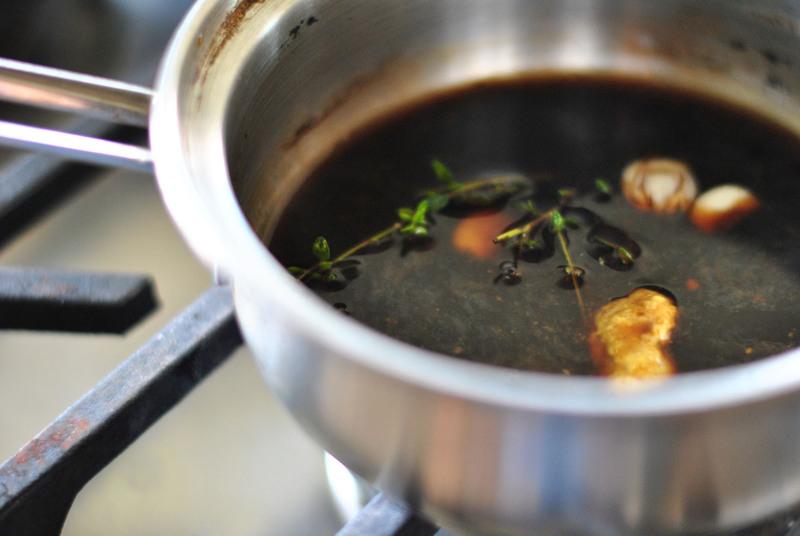 Bring all the ingredients (except butter) together to gentle simmer. Whisk to break down garbanzo flour. Let it thicken up slightly. Throw in a cube of cold butter and whisk-it will make the sauce nice and glossy. 1. 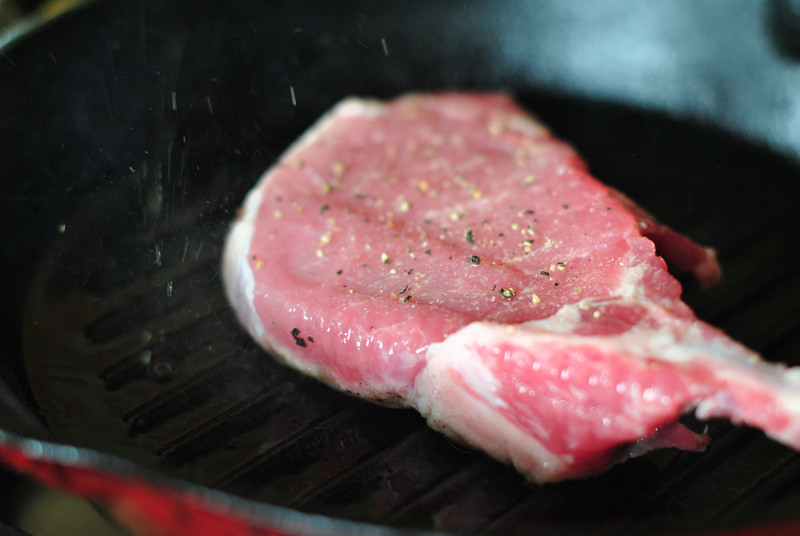 Season pork with salt/pepper and fresh ground coriander. 2. Heat the grill to very hot! 7. Let them rest for 5-10 mins. Serve with any side dishes you want. I made mashed potatoes with peas. Joe Joe’s calling my name….sometimes you just have to answer it. This looks amazing! If there is a bright side to being stuck at home with a cold, it is collecting recipes like this to try when I can taste again. This was delicious! I just used basil for the herbs because that’s what I had around, but it was still really yummy. Thanks for sharing! 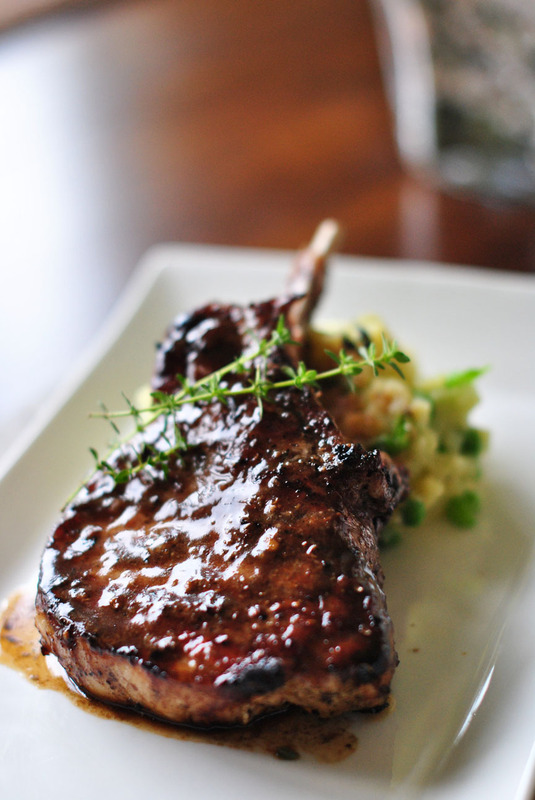 I cant wait to try this dish tonight! What kind of mustard do you use? Holy cow! That looks so amazing. To be honest, I was looking for a dog food blog and came across this, but I couldn’t help but check out this recipe. My brother is a chef in Las Vegas and when he comes to town he makes food like this but I will have to save this recipe for him. Great post, and beautiful website as well! 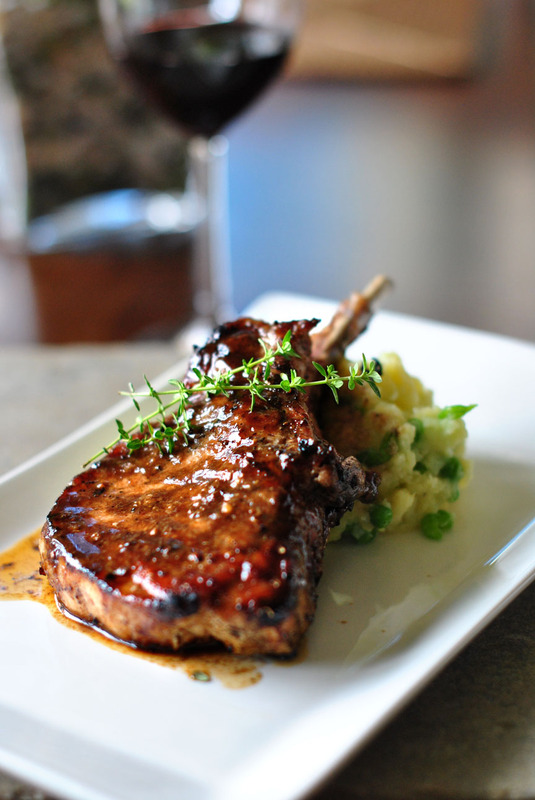 This is my favorite pork chop recipe by far! I’ve made it numerous times and everyone loves it! I made these tonight and they were AMAZING! My husband loves them! Will be making them as a regular dish! Awesome Jessica! So glad you guys love it. Yum!!! I’m hungry. This looks great! I have all of the ingredients on hand already and will make this for dinner tonight. Would you consider, in the future, making it easier to print your recipes by adding a “print format” button? That would be so helpful! Hi Terri, Sorry for the late reply. I’m in the middle of revamping my site. So stay tuned! A lot of exciting things happening. =) I usually have toasted coriander seeds ready to use for a few days since it’s my favorite spice. I toast good 2~3 Tablespoons, toast and cool them and put in the empty pepper grinder(i use trader joe’s). Use it as if it’s a pepper grinder.